Cenger hotels, book Cenger hotels, Cenger hotel prices and Cenger hotel map. Where to stay Cenger. Book now for as low as 22 EUR. 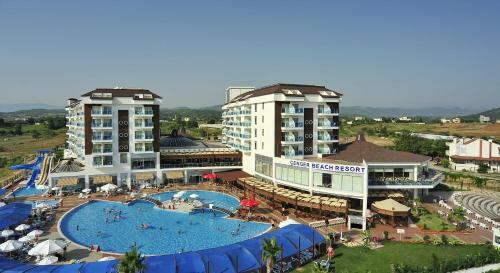 Use the Hotel Finder to find cheapest hotels in Turkey. Hotel locations, room photos, availability, checkin / checkout hours and all other information you need is in one place. Simply type the city or location you want to stay in the above search box. A list of selected hotels will be displayed on the map. Alternatively, you can zoom into a location on the map. After zooming into a city, hotel deals will be displayed on the map. Also, you can drag the map to find more hotels nearby. You can find detailed information about hotels by clicking the markers on the Hotel Finder. Simply click "Book Now!" button to conveniently book your stay. If you're planning to stay in Turkey YolTarifi.com will be of great use. Check out our public transit pages and city guides.